You can't beat Petit Bateau for great quality and classic, timeless styles. It is also hard, unfortunately, to stomach their outrageous US pricing. Never fear!! Amazon has several Petit Bateau baby items marked down 70% and, in some cases, even more! Everything you see above falls into this category (use link in first sentence to see all). 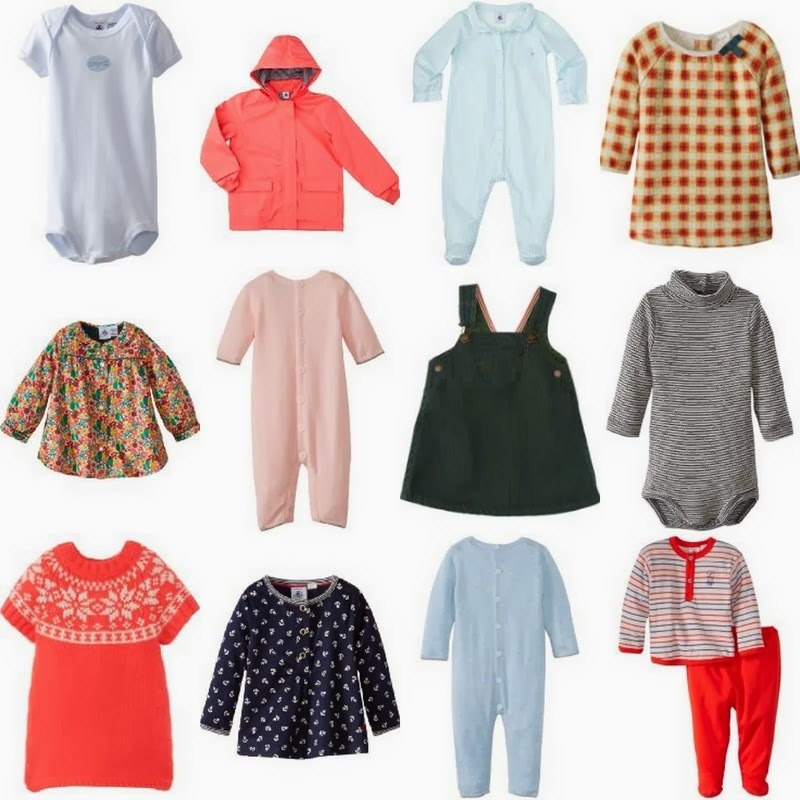 Some of the standouts are the little milleraies short-sleeve bodysuit (first row, far left), just $5.61 in the 18 and 24 month sizes (these run small) and the newborn Cathy plaid dress that has been marked down from $74.80 to $22.44. I also love the Christian hooded rain coat that comes in dark pink and navy... a great deal at $35.64 (normally $118.80). Everything above qualifies for Amazon Prime and Super Saver shipping.